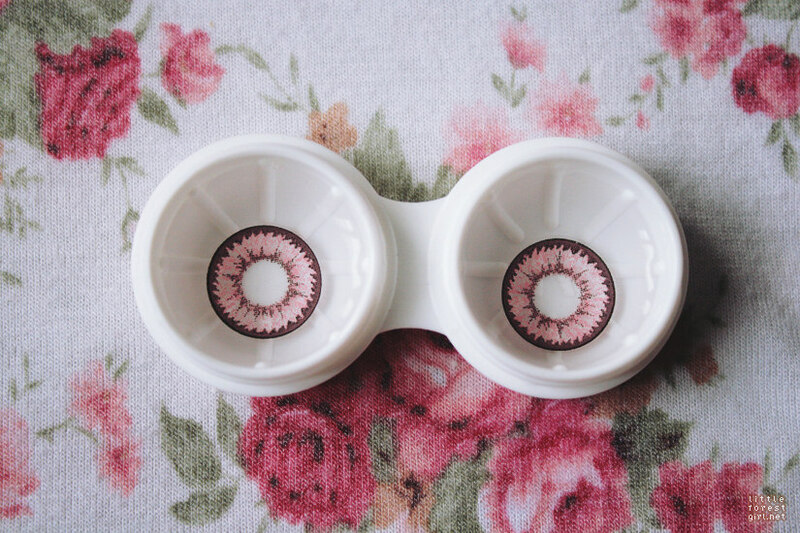 For this review, they sent me Dueba Wondereye Pink* lenses, also known as Super Nudy Pink lenses. 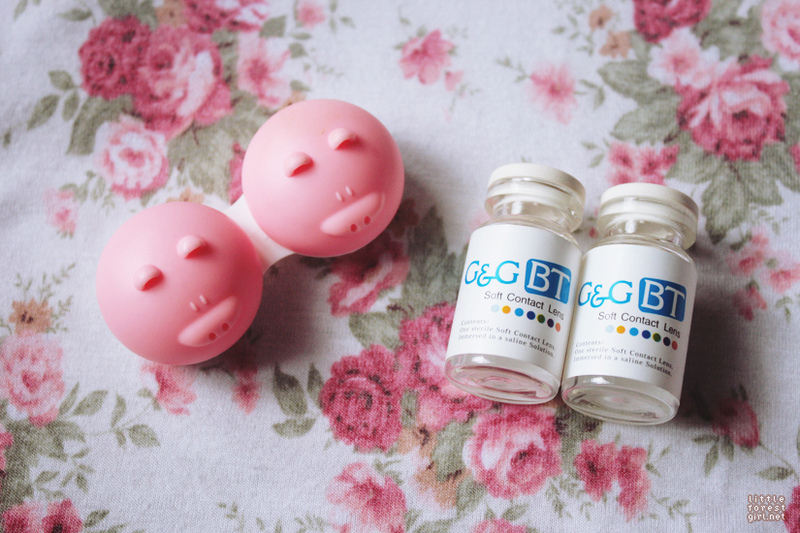 I actually got these from PinkyParadise sometime late January, and am only posting this review now. I initially wanted to review a different lens first, but I suddenly had enough photos for these (since I wear them all the time) so I'm reviewing these first. When worn, under natural light. When worn indoors. The color and design are still visible, though they look a bit purplish here. I love the color and design on these. I love that the design's still visible even indoors. Buttt, what I especially really like is the color! Not so opaque for the color to be overpowering, but not so translucent either. I do have a tiny problem with the design though. While I really like the overall look of Super Nudy lenses (whether it's from GEO or Dueba), I do kind of prefer the design of the Nudy lenses. If these didn't have such an apparent black limbal ring, then they would've been perfect for me. At 14.7mm, these are pretty enlarging! At first I was scared because the label said 14.5, but it turns out that the diameter is 14.7 still. 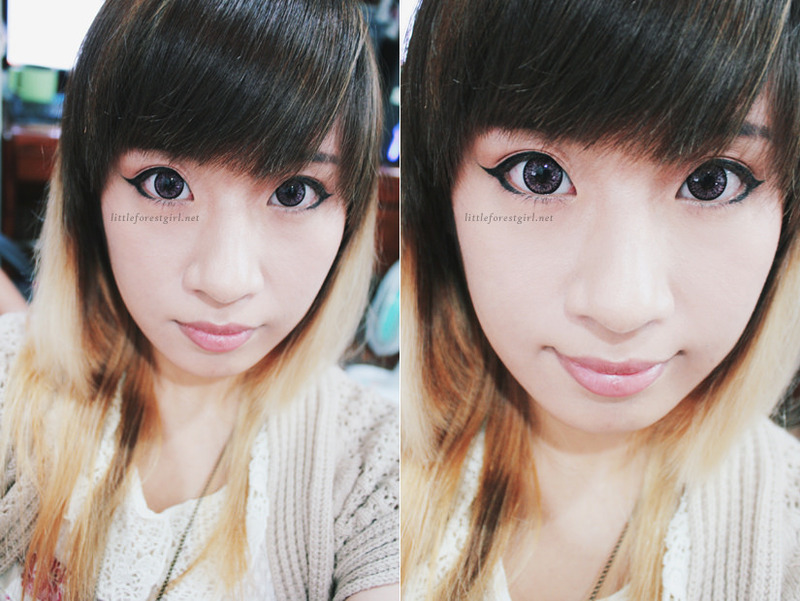 I compared them to my GEO Super Nudy Brown lenses, which are 14.8mm, and they're almost the same size. Really comfortable! I do tend to feel it moving in my left eye sometimes, but not so much that it bothers me. It goes away after a while. The GEO version of these lenses seem to be more comfortable for me to wear. Putting aside the two issues (which are both very subjective, haha) that I have with these lenses, they're really pretty good. They look really sweet too, and are great in time for Spring! For the last photo, I did a simple sweet look with them. The most important point of the whole look are the lenses! They're really nice for a natural gyaru or even a mori gyaru look. DISCLAIMER: This product was sent to me by PinkyParadise for review, but the opinions expressed here are 100% my own. Financial compensation was not received for this post. Also, this post contains affiliate links. Clicking those links before you make a purchase means that Chainyan.co receives a small commission, which helps to support the blog. Please see my full disclaimer for more information.